Vintage is proud to partner with NASA to enhance STEM education at Vintage. 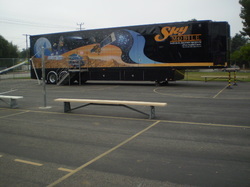 In 2007, Vintage Magnet was one of 25 schools in the United States selected to become a NASA Explorer School. As a NASA Explorer School we have a special relationship with NASA. For the first three years it gave us access to funds and resources that were not available to many other schools. We continue to develop our identity as a NASA school. The purpose of the NASA Explorer School program is to enhance instruction in science, technology, engineering, mathematics and geography (STEM-G education) for Vintage students in the way that only NASA can. 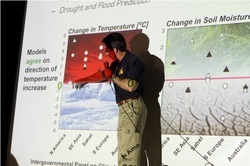 Teachers and staff use NASA materials and resources to deliver classroom lessons and organize special events. Vintage teachers use video conferencing equipment to access NASA's Digital Learning Network (DLN). Through this network, classrooms can connect to NASA scientists and engineers around the world in real time video conferences. The equipment allows students to ask questions and interact with scientist as though they were present in the classroom. 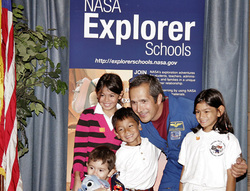 On November 7, 2007 the partnership with NASA kicked-off with a visit from astronaut John Herrington. Commander Herrington met with students and parents and shared his experiences from his shuttle flight and visit to the International Space Station. The NASA Explorer School (NES) Program has provided Vintage Magnet students and staff with extraordinary opportunities that were not available to other schools. 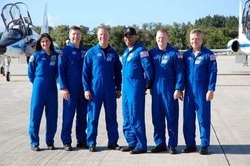 The NES Program has given us access to NASA personnel who can share their real world knowledge and experiences in aeronautics and space exploration with students. 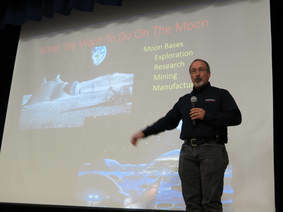 Continuing today, through assemblies, classroom visits and video conferencing technology teachers can incorporate NASA experts in science, math and geography lessons. 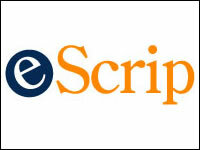 The NES program offers teachers a vast catalog of instructional materials and professional development opportunities to enhance their science instruction. Vintage was fortunate to participate in some special events such as actually flying classroom experiments in micro-gravity and attending national science education conferences paid by NASA. Vintage parents and families are a important part of our NASA partnership. Throughout the years, we host community events to give the whole school community to a chance to experience all the exciting things NASA has to offer. Besides being a lot of fun, parents gain insights into the science instruction their children are receiving and a can better support their learning. 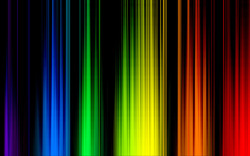 Look for information about upcoming events and ways you can get involved in the NASA program. Video available of his speech. Keynote Speaker: Jit Bhattacharya - Mission Motors. 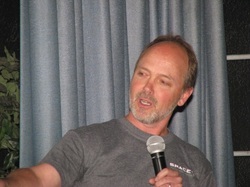 Discovery Space Shuttle Crew of flight 133 at Kennedy Space Center answered Vintage 4th & 5th Grade student's questions. ​Presentation on geology and biology of earth and mars. 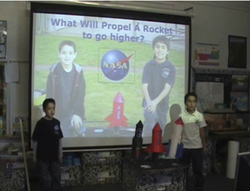 ​Vintage students Adam and Zachary designed, tested, and presented a rocket experiment at a NASA symposium. ​Students view the last launch of the space shuttle, Atlantis. NASA Ames Lunar Science Institute Tele-robotics presentation. ​Vintage students spoke to the astronauts on board the International Space Station. 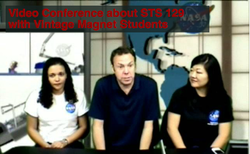 NASA selected Vintage Magnet to have the very special honor of hosting a live video conference with the astronauts on the International Space Station. Only 6 educational organizations were given an opportunity to connect with the station during this crew rotation. ​Miss Karabogias, Mrs. Liu, and Miss Loeser conduct NASA research in Yellowstone National Park. ​Vintage staff members traveled to Kennedy Space Center in Florida to look behind the scenes of a shuttle launch. 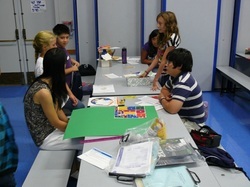 ​A team of Vintage teachers flew a student created experiment in microgravity at Johnson Space Center in Houston Texas. Dr. Jorge Vazquez - Aquarius mission to provide the first-ever global maps of salt concentrations in the ocean surface needed to understand heat transport and storage in the ocean. Kirk Breitenbach - Soil Moisture Active Passive Mission. 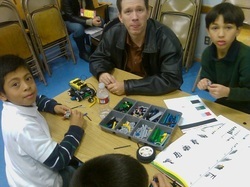 Interested parents and kids participate in Lego Robotics League.